Mandarin M5 allows access to library resources through any computer with an Internet connection. 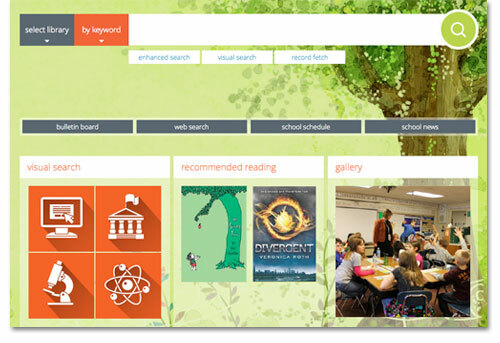 The simple interface is easy to learn, and the appearance and features can be tailored for each library. Optional modules and services offered by Mandarin allow libraries to customize their system to meet their individual needs. M5 also supports Unicode, which allows librarians and users to catalog and search their collections in any language. one-point installation, maintenance and updates. For customers already using Mandarin M3, M5 is a seamless upgrade. Translation: A new User Interface leads to a great User Experience. And that’s just part of what M5, the new version of Mandarin’s Integrated Library System, brings to libraries. In addition to a modern and beautiful new interface, M5 incorporates new features and functions, including autocomplete in the search bars, recommended readings, a digital gallery, and advanced search filtering designed to help library patrons more easily find what they are looking for. That’s just on the surface. Working quietly in the background, M5 is powered by new SQL server software, which will enable Mandarin’s team of developers to make quicker and more frequent updates. And all this can be hosted by us in the cloud, with updates automatically applied, relieving you of IT expense and providing peace of mind that your system is secure. Or it can be licensed to run on a library’s local network. Visit a Demo Site, where you can access the OPAC and use it as any library patron would, and also visit the back-end administrative functions like Circulation and Inventory. Register for a free Webinar for a guided tour of M5, during which you can ask questions. Request an individual consultation with a Mandarin specialist. *Unicode is a universal encoding standard that greatly simplifies the sharing of multilingual text. It allows you to search for records in any language, including Chinese, Hebrew, Arabic, and more.